Key regions of Scotland could be at the heart of an estimated £1bn boom for circular economy businesses in Scotland, the First Minister of Scotland will announce at major international event taking place today (Wednesday 31 October) in Glasgow. The potential value to the local economies of circular approaches in Aberdeen & Aberdeenshire and Tayside, is set out in reports commissioned by Zero Waste Scotland, and highlighted in a speech by the First Minister at the Circular Economy Hotspot Scotland. The Hotspot is a major international circular economy event, running from 30 October to 1 November at the Glasgow SEC. The predicted economic benefits to Tayside of adopting a circular economy are over £400 million, while the predicted benefits to Aberdeen & Aberdeenshire are over £600m. A further report sets out the economic opportunities unique to Scotland’s capital, including proposals to maximise the circular opportunities in Edinburgh’s huge festivals and hospitality market. All reports were produced with the assistance of the local chambers of commerce and written by independent consultants. Each chamber has already started to engage businesses and to help them realise the opportunities. These reports build on work undertaken in Glasgow in June 2016. Scotland has four circular economy regions: Circular Glasgow (a partner in the Hotspot); Circular Edinburgh, Circular Tayside and Circular North East – each work on projects tailored to local opportunities. The First Minister will also use her speech to announce the latest businesses to receive support through the Circular Economy Investment Fund, with over £700,000 going to help three Scottish businesses accelerate the transition to a circular economy. 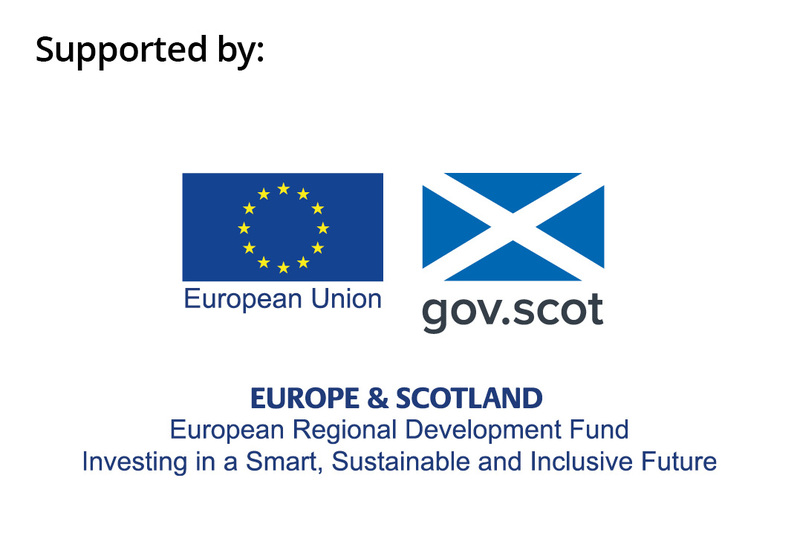 The Circular Economy Investment Fund is administered by Zero Waste Scotland and supported by the European Regional Development Fund. Total Homes, £312,385: a three-sector partnership delivering house clearances for Housing Associations in Glasgow, ensuring that household appliances, furniture and other goods are re-used. Revive Eco, £234,358: based in Glasgow, they collect used coffee grounds and recycle them to create high value bio-oils, which have a wide range of valuable applications including cosmetics, pharmaceuticals and food and drink. The business is built upon partnerships with large coffee chains and small independent coffee stores and garden centres. Angus 3D, £175,000: this grant enables the Tayside start-up to bring latest metal 3D printing technology to Scotland. This will reduce waste in the design process and extend the lifespan of machinery by allowing obsolete parts to be manufactured from 3D scans. “These reports show the exciting potential of a circular economy where reducing waste and investing in keeping materials in circulation for as long as possible can release an estimated £1 billion of economic opportunities for Tayside, Aberdeen and Aberdeenshire. This demonstrates the overall scale of the opportunity for Scotland. “It’s great to see projects like Total Homes, Revive Eco and Angus 3D embracing our circular economy and getting maximum value from resources. This £700,000 investment will help these businesses re-use and repurpose products which will benefit communities by creating jobs and reducing emissions. Construction and built environment sector – £286 million. Energy infrastructure sector – £250 million. Food and drink sector, and the wider bio-economy – £52 million. Manufacturing sector – £37 million. Researchers considered a range of economic opportunities specific to Edinburgh’s key sectors. The University of Edinburgh has identified an alternative method of gold recovery from electronics which has a reduced impact on the environment through the use of less toxic chemicals. Reuse and recovery of precious materials could be worth up to £140 million, with a potential reduction of 13,000 tCO2e. Edinburgh and the surrounding region is home to a host of breweries and distilleries. Making beer produces a high volume of spent grain, which can then be channelled into grain bars/granola and animal feed, anaerobic digestion and energy generation, with a potential value of £1,275,000 to the economy each year. Circular Edinburgh is joining forces with the Festivals Edinburgh to help promote the circular economy. Glasgow, Scotland’s biggest city, has pioneered the cities and regions approach to Glasgow, Scotland’s largest city, has pioneered the cities and regions approach to developing a circular economy in Scotland. An initiative of Glasgow Chamber of Commerce, Circular Glasgow is a partnership alongside Zero Waste Scotland, Glasgow City Council and Circle Economy from the Netherlands. To date Circular Glasgow has a directly engaged with over 500 businesses through a range of tools, alongside a suite of events. “We are delighted to see more than £500k being invested into two Glasgow businesses who are pioneering in this area. It is great to see the initial momentum being led by our Circular Glasgow partnership continuing to build and there is significantly more to come. “Glasgow Chamber of Commerce sees the circular economy as an opportunity for the businesses across our diverse urban economy to innovate and become future proof. Zero Waste Scotland leads on delivery of the £73 million Resource Efficient Circular Economy Accelerator Programme, which aims to improve the economic performance of SMEs while at the same time reducing the impact of economic activity on the natural environment, supporting Scottish Government and EU policies. “We set up Revive with very ambitious plans to divert every ounce of used coffee grounds from landfill in Scotland. Eventually we aim to take our business model international. Getting this funding from Zero Waste Scotland has made this vision far more achievable. Being supported by Zero Waste Scotland gives Revive’s credibility a huge boost. “In Scotland alone, approximately 40,000 tonnes of used coffee grounds per year are currently going to waste. We are developing an innovative new process that derives high value, natural materials from these used grounds. “Circular business practices are our true north. It makes good business sense as well as being beneficial for the planet. We are extremely driven to play a role as ambassadors for the circular economy and educate individuals and businesses about the value and impact being more circular can have on them, their operations, and the environment. We firmly believe the best way to bring about lasting change, is to be educating future generations, in order to ensure that their mindsets are always geared towards circularity and sustainability,” said Fergus. “I’m naturally delighted we’ve received this funding award from Zero Waste Scotland, because it will help our clients and the Scottish manufacturing industry develop their circular economy. “We are beyond excited about the launch of the service. The investment from Zero Waste Scotland has allowed us to create a business that transforms the way items are currently disposed of from vacant housing association properties. 80% of items which we take out, such as furniture, small electricals, kitchen utensils, textiles and toys, will be re-used to support people being re-homed or simply providing an affordable way to refurnish their home. “We are saving tonnes of household waste going to landfill and dealing with the waste in a socially responsible way plus we will offer discounts on furniture and provide employment and training opportunities to their tenants. “This service embraces the vision for a circular economy. When we clear properties, items are tested, repaired, cleaned or upcycled and continue in use instead of being landfilled. The members of Total Homes Co-operative have a passion for re-use and recycling; no items will ever be looked upon as waste, but as having potential. We already have interest from councils and housing associations and can only see the impact of the service helping to make great bounds towards a ‘zero waste’ Scotland,” concluded Pauline. Zero Waste Scotland exists to create a society where resources are valued and nothing is wasted. Our goal is to help Scotland realise the economic, environmental and social benefits of making best use of the world’s limited natural resources. We are funded to support delivery of the Scottish Government’s circular economy strategy and the EU Action Plan for the Circular Economy. The Resource Efficient Circular Economy Accelerator Programme Fund is administered by Zero Waste Scotland on behalf of the Scottish Government. It is part-funded by the European Regional Development Fund (ERDF). The Scottish Government is the Managing Authority for the European Structural Funds 2014-20 Programme. For further information visit the website or follow @scotgovESIF.